That moment when you NEED yogurt, but don’t want to drive to town and don’t want to wait forever for it to get all… you know, yogurt-y. 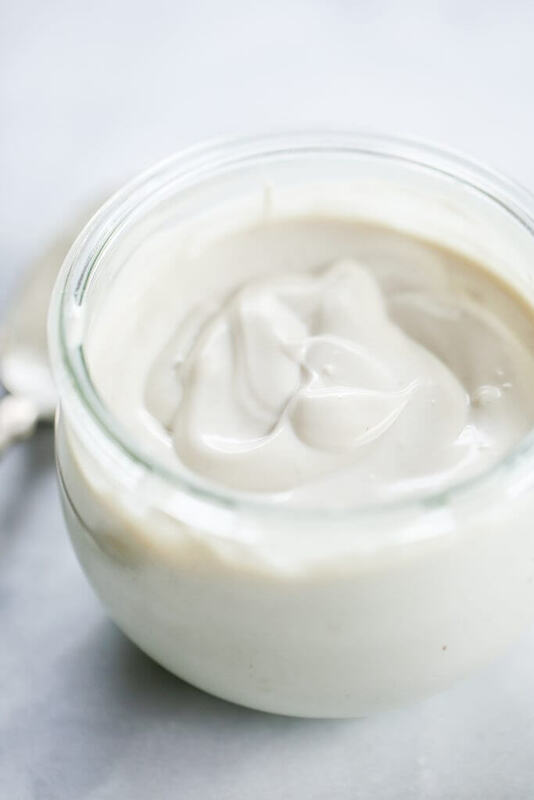 This creamy cashew yogurt is made with three ingredients you probably already have in your pantry- and one of them is water!! …Does water even count as an ingredient? Yes, I know this yogurt doesn’t have any actual probiotics. So, it’s not technically legal-yogurt like you see in chilled aisle in the grocery stores. 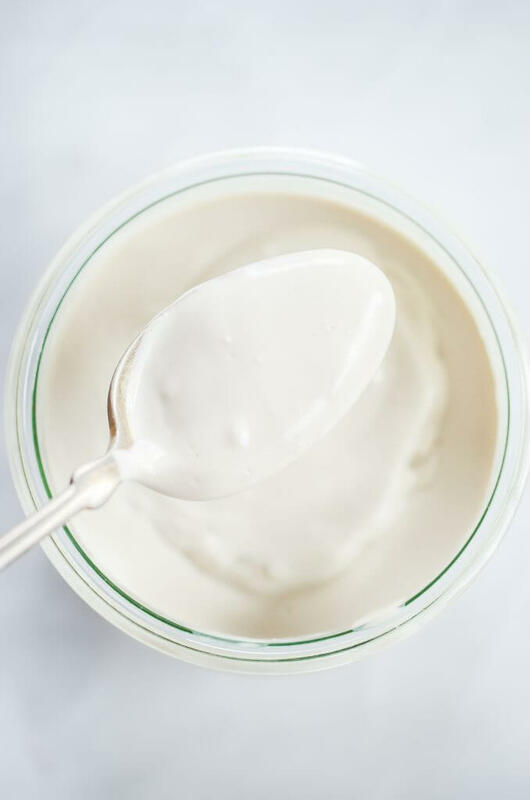 But who cares about legal yogurt when you can have instant dairy-free yogurt! It looks like yogurt, kinda taste like yogurt, and it’s creamy like yogurt, so I’m happy. 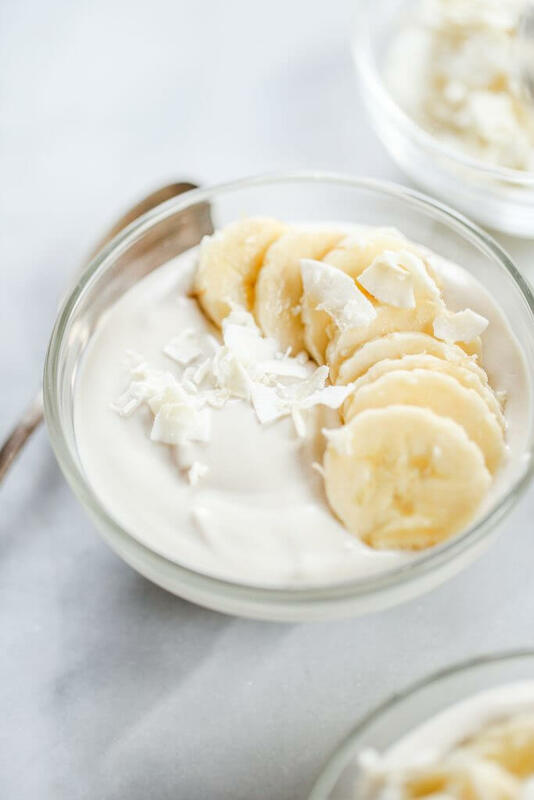 We are going all-out-fruity over here with some bananas to finish off this creamy breakfast dish. You can pick any toppings your heart desires or go basic with some granola, which would be fabulous! I feel like I’m the fast food of health food bloggers. I like food, but I don’t have the patience of a gourmet chef. So with me, it’s always: how can I make this recipe easier, faster, and healthier- my thought process always. 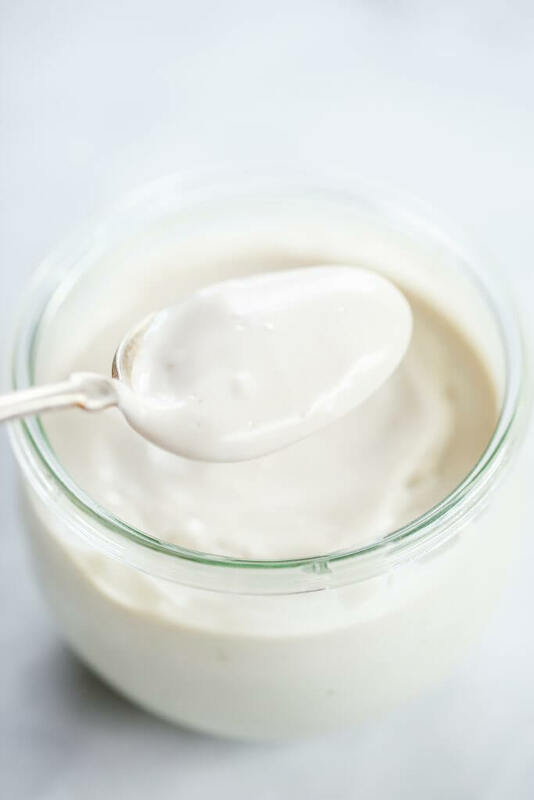 I’ve tried making yogurt before and let’s be real- I kept checking in on it and checking in on it… and it just didn’t go over well. So, in my attempt to come up with a more approachable take on homemade yogurt, I went with the make-it-in-a-blender-instantly-version. Not made about it. AT ALL. 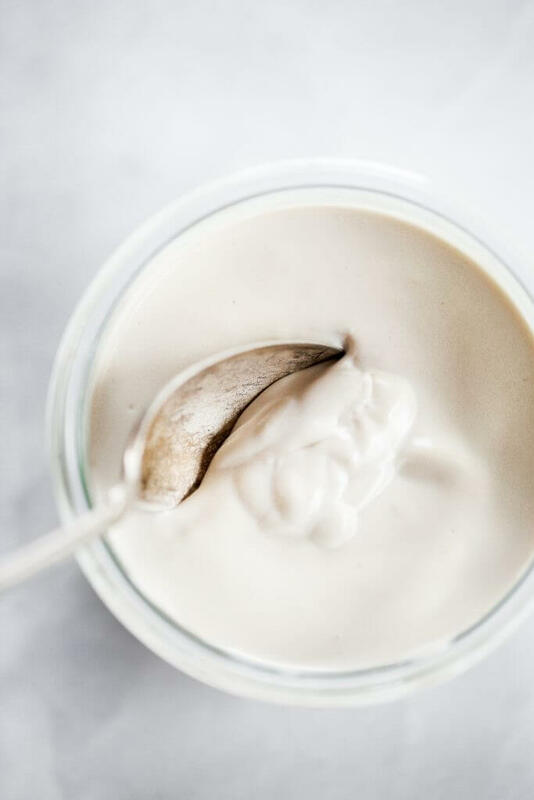 The texture of this homemade yogurt is spot on! I suggest storing this recipe in the fridge for about 4-6 days. P.S. these are the cute jars I love to store my yogurt in. 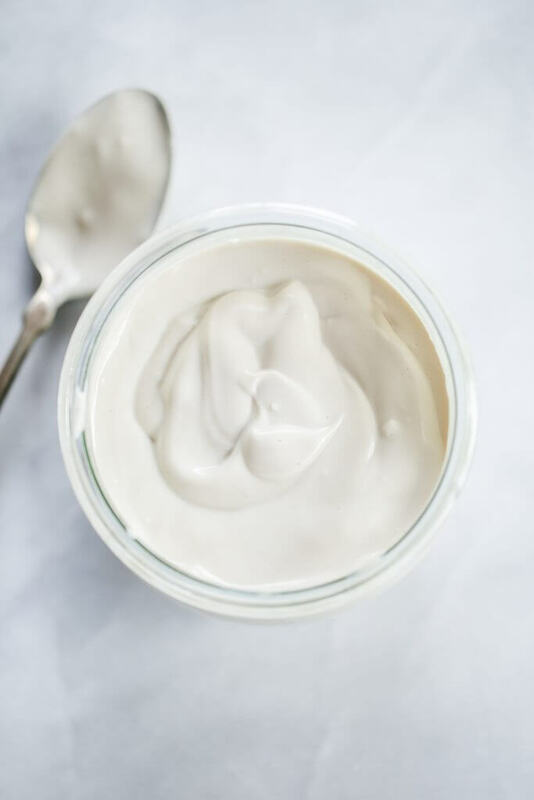 2 minute dairy free yogurt recipe. 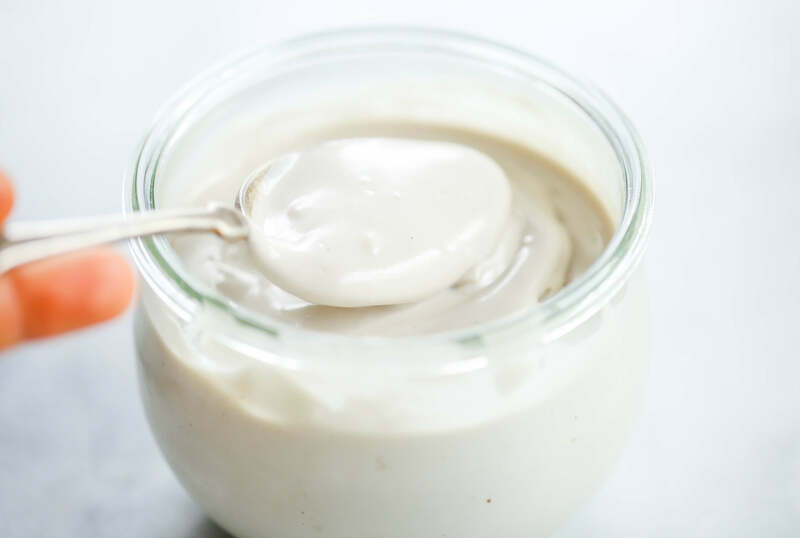 Healthy cashew yogurt ready in just minutes! 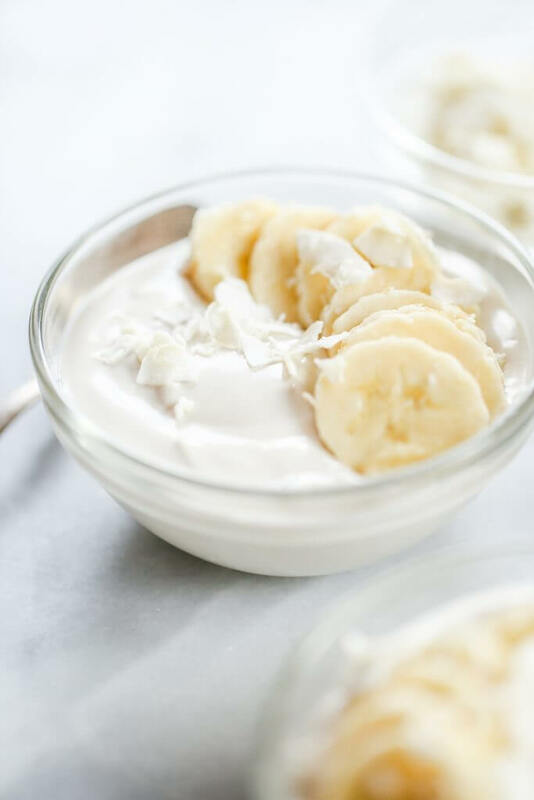 This creamy paleo yogurt is perfect served for breakfast with fruit. Made with just three ingredients! In a high powered blender combine all ingredients for 2 minutes on high until smooth. Pour into a glass jar and chill in fridge until reaches desired consistency and cools down then stir well until smooth and use. This looks awesome! Is it 1-2 servings? Also how long does it sit in the fridge to reach consistency? Hi Shelby, it makes 4 servings and chills in the fridge- depends on your fridge really.. mine took 1-2 hours. Hello! I love this recipe I’m definitely gonna try it! Does it works with almonds instead of cashews? Is it needed to soak the nuts before? Can I replace the gelatin with mandioca flour? I don’t tolerate cashews very well…could I use macadamias instead? Thanks so much. Hi Ashley, that should work! Hi! I love it ❤️ Definitely I have to try this recipe, but can I use tapioca starch (we do not eat gelatin at home)?? Thank you so much!!! Hi Fran, I don’t think that would work the same. I wouldn’t try it- it would be really goopy and gummy. Do you think collagen powder would yield the same results as gelatin? Can you use xantan gum to sub the gelatin? Or any other vegan substitute? Is it possible to substitute agar for gelatin? Hi Claire, I have never cooked with agar before, so I’m not sure…? Substitute the same amount of agar powder and you’re good to go. Is there a reason you didn’t just break open a few probiotic capsules and add them? 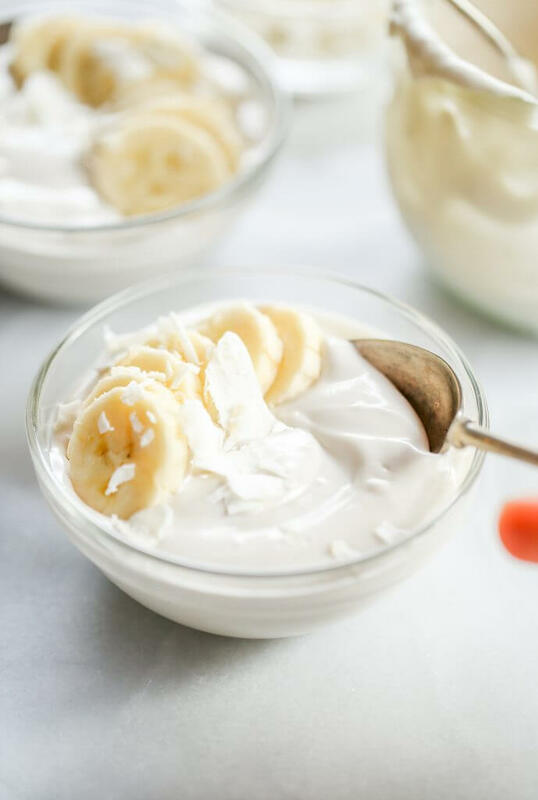 I’ve done that with coconut milk a few times, but maybe if you’re eating it right away you won’t get the tang from the probiotics?